Here at The Home Edit, we believe it’s ALWAYS spring cleaning.. but since most people dedicate a block of time to clean and organize their home, we thought we would give you some tips. 1) Focus on one space at a time. If you try to tackle your entire house, you will get easily overwhelmed. 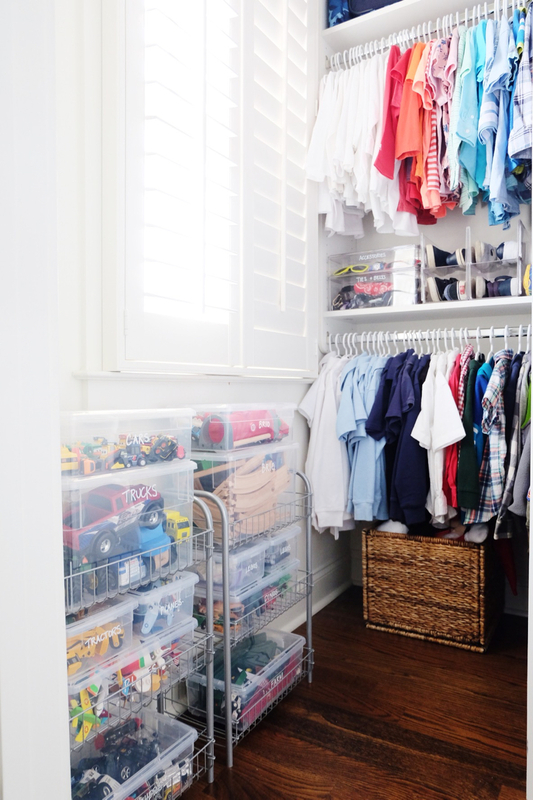 And before picking, try to prioritize each space by what frustrates you most, and what would give you the most satisfaction to have organized. It could be something large like your master closet, or something as small as the junk drawer in your kitchen. 2) Think about the supplies you would need to help organize that single space. If it’s a closet, look at shoe boxes, hangers, and handbag hooks. 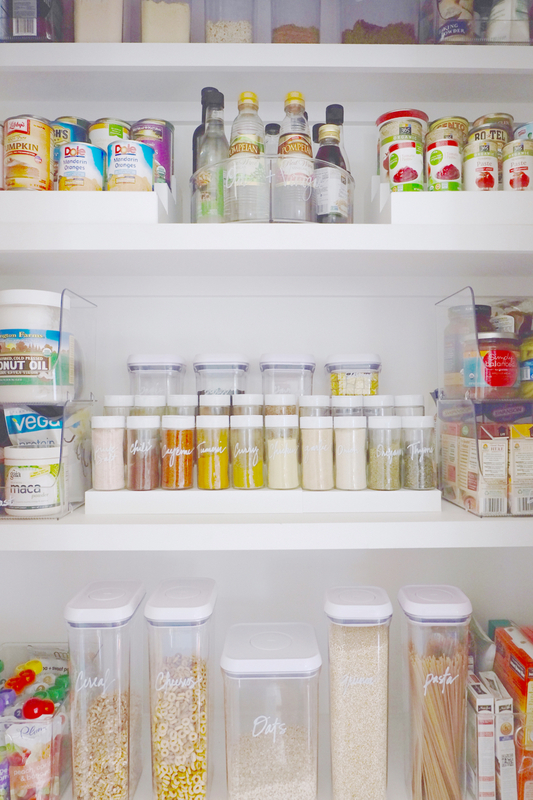 If it’s a pantry, think about bins, jars, and cereal containers. If it’s a playroom, consider toy bins and containers for art supplies. If you try to really focus on a single project at a time, it will be much more doable. 3) Take everything out. Actually everything. It’s the only way to properly edit your items and the only way you will be able to logically put them back in an organized fashion. Once you have everything in front of you, it’s far easier to see what you want to keep and what you want to purge. 4) Sort everything you are keeping into categories. For instance, if you are working on your home office, categorize piles of paper into things like business, taxes, mail, pending projects, etc. Setting up systems that match your specific needs, will help for easy maintenance going forward. 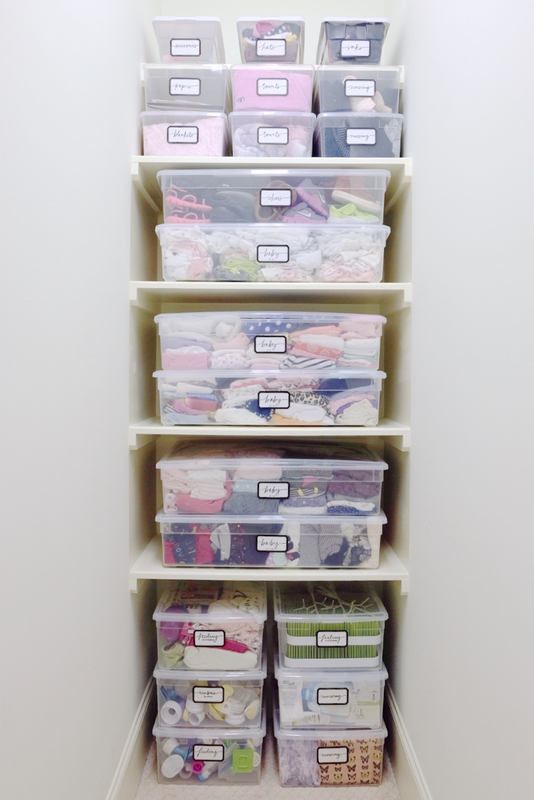 5) Organize all of your pre-sorted categories back into the space (on the shelf, in the drawer, hung in the closet, etc) utilizing the product you purchased in advance. Our rule of thumb is that functionality and logic must come first, and the style comes as a close second. For instance, if you are working on a pantry, make sure you logically think through each shelf to determine where snacks go versus where cans go, and then take the time to make sure everything is lined up and styled accordingly. Here are some of our recent spring cleaning projects! Let us know in the comments if there’s an organizing project you specifically want us to showcase, and we will work on it for next week! Woah! Everything looks so neat, it’s every clutter victim’s dream. I love how you displayed the books – blue ones are in one form and the yellow ones in an opposite – it creates a contrast that is rather pleasing to the eye. As for the topic of spring cleaning, I have one advice to share myself. For all the DIY lovers out there who use their own homemade cleaning products – make sure to avoid experimenting during the spring cleaning. It’s quite a hefty task as it is, don’t complicate it even more with products that you’re not sure whether or not will do the job. Love it!1 How amazing does that look. It makes me feel good when my home is clean and organised. Thanks for the inspirations, I’m going to declutter today. Individual house cleaners generally apply the cleaning concepts they use when cleaning their own place at their customers houses. After all, cleaning is cleaning no matter where you do it right? subscribe for updates and exclusive deals on our partner products!